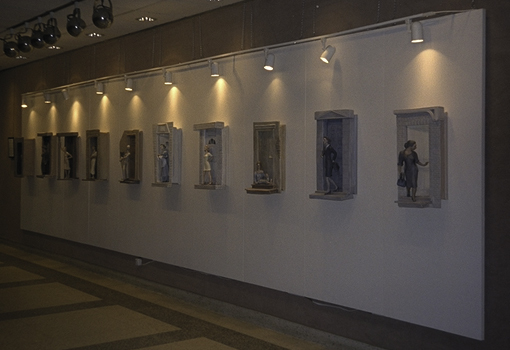 “Home Economics” is a series of wall-mounted sculptures of women in doorways, one for each decade of the 20th century. Each figure is an interpretation of a woman of that decade and her stance in the doorway is a metaphor for her perceived position in society. For more detail, please see the Home Economics page on this site.